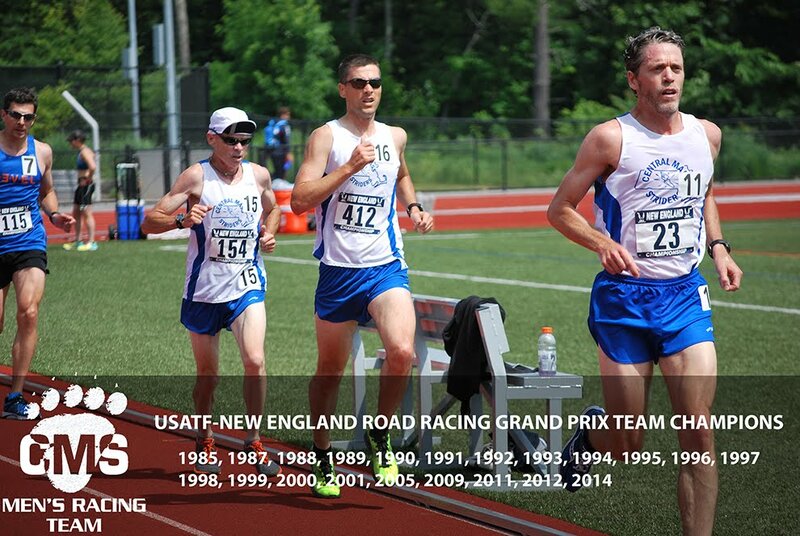 The CMS men’s racing embarked on Burlington, VT for the USATF New England Grand Prix. Sunny skies and temperatures in the high 50’s awaited at the start. Three USATF members score for the team per age group. CMS was led by Scott Leslie who finished 5th overall. Scott ran a time of 2:28:42. Scott also won the 30-34 age group. Masters (40+) Joe Shairs and James Pawlicki scored down helping the open team place 3rd overall behind GMAA and GBTC and just ahead of Team Run. Joe ran 2:46:31 and finished 1st in the 45-49 age group. The Masters team (40+) placed 3rd behind GMAA and BAA and ahead of 4th place Gate City Striders. Dan Verrington (50+) scored down into the masters as the 3rd scoring runner. He also led the Senior team (50+) with a time of 2:59:12. Dave Dunham and Philip Savoy Jr, who set a marathon personal best, scored out the Senior team. They finished behind GMAA and 16 seconds ahead of the BAA. 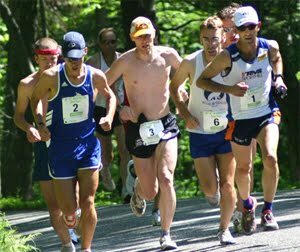 GMAA (Green Mountain Athletic Association) swept the men’s open, masters, and senior team scoring. Full results here and CMS men listed below. 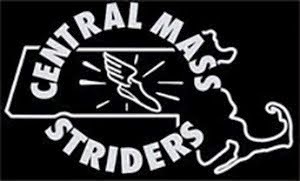 CMS had winning teams at the USATF New England Trail Championships hosted by the Merrimack River Trail Race (Andover, MA) on Saturday morning. The Men's Open team led by new member and overall winner, Colin Carroll, placed 1st with Kevin Tilton, Scott Leslie, Chris Mahoney, and Matthew Veiga. The women's open team won with Leslie O'Dell, Regina Loiacano (1st 40+), and Jenn Brooks. The men's masters team (40+) won (Todd Callaghan, Jim Pawlicki, John Gillis) while the Senior team (50+) of John Gillis, David Lapierre and Dave Dunham were second to Team Gloucester. Jim and Todd were 2nd and 3rd in the 40+ age group while John Gillis was 2nd in the 50+ age group. Patrick Rich, Dan Verrington, and Jerry Grove also represented CMS on the out and back style trail along the Merrimack River. Dan Vassallo took a few wins in recent weeks on the North Shore. Jim Johnson, Tim Mahoney, and Chris Mahoney cut the tape as well. 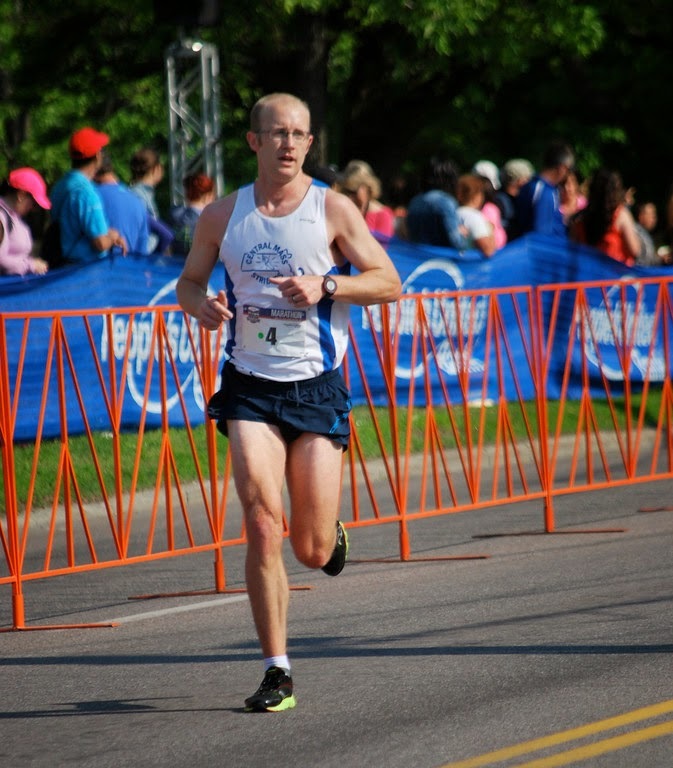 Honorable mention goes to Scott Leslie who won the Walter Childs Marathon in Holyoke while Jason Dunklee placed as the 3rd masters at the Cox Marathon.